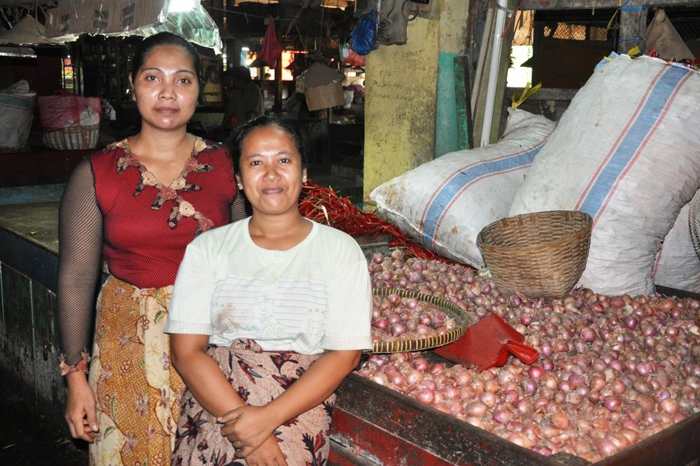 The study focused on the shallot value chain in two target districts: Sampang, in East Java, and Bima and Great Sumbawa, NTB. 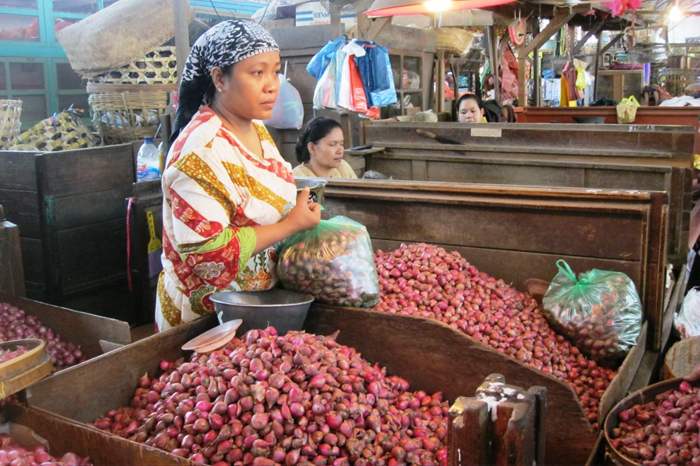 The report explores multiple issues deemed important to a robust understanding of the structure of shallot chains, their conduct and performance, as well as their potential as vehicles for poverty reduction. Emphasis is given to the constraints faced by farmers and other chain actors and the opportunities available to them, in the wider context of the shallot sub-sector and its position in the international trade. Adoption of more productive, higher-value varieties to test various rain-tolerant cultivars. Development of inter-island trade linkages to improve farm-gate prices and profits. Promotion of true seed shallot via nursery farms and provision of technical advisory services to other farmers. Upgrading of conventional seed bulb chains with a parallel strategy recommended aimed at upgrading the structure, conduct, and performance of conventional seed bulb chains. Development of storage and services to farmers, and the development of mechanisms for addressing likely conflicts around weight and quality losses. The report provides an analysis of the shallot sector in Indonesia, including an assessment of its socio-economic importance, production and productivity trends, production systems, consumer preferences and demand trends, exports and imports, and price trends and seasonality. 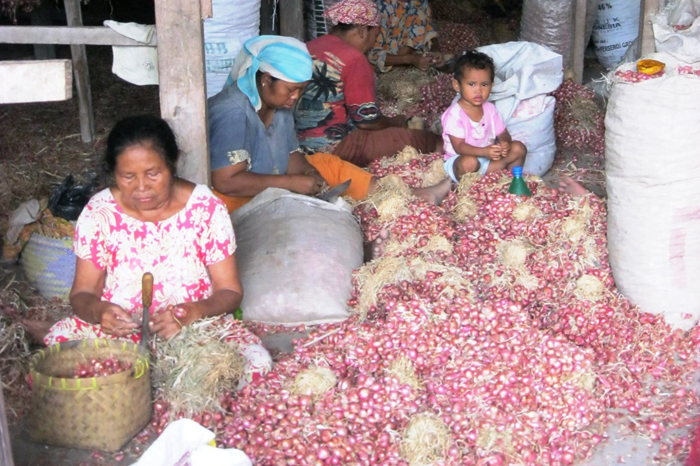 The report details the shallot value chains in Sampang and Bima. Within each chain, production, product flows, chain actors and linkages, quality management systems and problems and constraints are all discussed. Each chain discussion concludes with opportunities for pro-poor interventions. The report concludes with an assessment of key research findings, recommendations and gaps. The executive summary commences with an outline of the socio-economic importance of the crop to Indonesia, production trends, productivity, seasonality, varieties, cultivation, trade, demand and prices. The shallot value chains in Sampang and Bima are then summarised. Chain problems and constraints are explored briefly, with the summary concluding with opportunities for pro-poor chain upgrading for both value chains studied. The study findings – recommended interventions supported by analysis - were presented, reviewed and validated at a stakeholder workshop and Reference Group consultation. Feedback was incorporated into the final report. 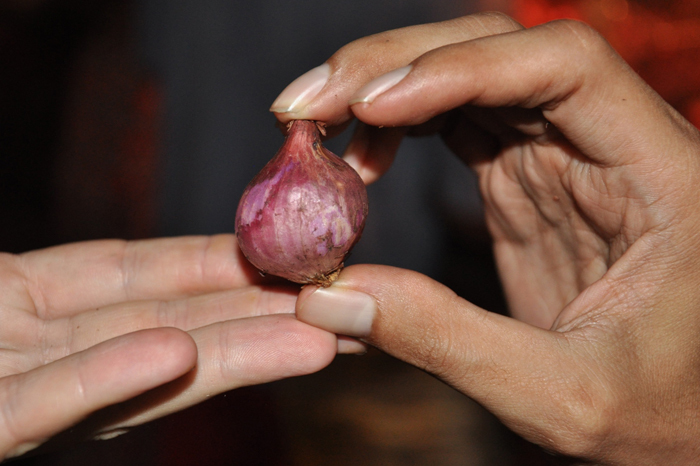 Local shallot bulb, grown in Madura. Shallot wholesaler at the Pabean market, Surabaya, East Java. Shallot wholesalers, Nganjuk market, East Java. Labourers cutting the leafy tops off the shallot at a warehouse, Kediri, East Java.